No matter the type of cooling system you use, you’ll likely have air conditioner questions from time to time. Finding the answers to your questions will help you become an empowered consumer so that you can make the best purchasing, repair and maintenance decisions possible. Use this air conditioner FAQ as a guide when you need more information about choosing a new AC unit, maintaining your current AC unit or diagnosing HVAC problems. What Size Air Conditioner Should I Use? Choosing the right size air conditioner for your home or business is essential to ensuring your comfort. When you pick a unit of the right size, you can rest assured that you’ll never be too hot or too cold. A correctly sized unit will also provide efficient service that can help you save on utility bills. In order to determine the size of unit that you need, calculate the total square footage of the area that you plan to cool. If you need help with these calculations or have ceilings that are more than eight feet high, ask an HVAC contractor to assist you. You’ll use the total square footage of the area that you need to cool to choose a unit that has enough British Thermal Units (BTUs) to provide adequate cooling in your space. What Do HVAC Ratings Like SEER, MERV and AFUE Mean? AFUE (annual fuel utilization efficiency) ratings tell consumers how much fuel is wasted by furnaces and boilers in order to produce heat. If a unit has an AFUE of 90, it uses 90 percent of its fuel to create heat while wasting 10 percent of its fuel. Look for a unit that has an AFUE of at least 90. HSPF (heating seasonal performance factor) ratings tell consumers how efficiently heat pumps work during the warming season. For the best results, look for a unit that has an HSPF of at least 8.6. Higher ratings indicate more efficient units. SEER (seasonal energy efficiency ratio) ratings tell consumers how efficiently heat pumps and air conditioners work during the cooling season. For the best results, look for a unit that has a SEER of at least 13. Higher ratings indicate more efficient units. MERV (minimum efficiency reporting value) ratings tell consumers how effectively air filters clean pollutants out of the air. Residential consumers should look for filters with ratings between seven and 12. Higher ratings indicate more effective filters. Energy Star ratings tell consumers whether or not appliances are efficient. Only buy HVAC units that have received Energy Star approval. Do I Have an Existing Warranty on my HVAC System? If I Do, What Does it Cover? Check the dealer or manufacturer paperwork that came with your HVAC system to determine whether or not it is still under warranty. If you can’t find this information, look for the unit’s serial number and model number. Most HVAC dealers can look up warranty information using these numbers. The details of what your warranty covers is included in the paperwork that was given to you when you bought the unit. If you don’t have this paperwork, either call the manufacturer or visit the manufacturer’s website. Most warranties cover replacement of major parts. Some warranties include an optional provision to cover labor. I’m replacing my outdoor AC unit. Do I need to replace my indoor AC units too? This question comes up time and time again in HVAC FAQ. While it’s not necessary to replace your indoor and outdoor units at the same time, it is always a good idea to do so. When you replace both units at the same time, you eliminate problems with compatibility between your indoor and outdoor units. You’ll also enjoy the highest efficiency that your new unit has to offer. Which System is The Best: Ductless, Central AC or Heat Pump? Ductless systems feature an outdoor unit connected to indoor air handlers via a small refrigerant line. These units offer excellent efficiency, quiet operation and easy installation. They are ideal for buildings without ducts or for those individuals who want to move away from using ductwork. Central air systems were the standard in new construction for many decades. These systems feature one outside unit that pumps air through a home via ductwork. Home and business owners who already have ductwork installed in their buildings may wish to use these types of systems. Heat pumps are designed to provide for highly efficient heating and cooling by removing unwanted air from a space and replacing it with pleasantly heated or cooled air. Heat pumps can be used with both ducted and ductless systems. They are ideal for those who are focused on efficiency and convenience. How Long Will My Air Conditioning Unit Run? The operating life of your air conditioning unit depends on many factors, including how frequently you use the unit and how good you are at keeping up on maintenance tasks. Most AC units that are well maintained last between 10 and 12 years. If you live in a very warm area and use your unit for more than half of the year, you may notice that its operating life is shorter than 10 years. Remember that regular maintenance can extend your unit’s operating life and help ensure optimal efficiency. Can I Improve Air Quality and Circulation in My Home? The relationship between indoor air quality (IAQ) and health problems has become a major concern for many homeowners. If you want to improve IAQ and circulation in your space, you’re best suited by choosing a ventilation system or air purifier. Ventilation systems are designed to facilitate the flow of fresh, clean air throughout your home. Most systems are fitted with special filters that remove dust, pollen and other pollutants from the air. What Thermostat Setting is Best? How you set your thermostat can have a big impact on how efficiently your HVAC system works. Choosing the right thermostat setting can help you cut down on energy usage while allowing you to stay comfortable in your home or business. Home experts recommend that you keep your thermostat set at 68 during the warming season and 78 during the cooling season. While 78 may sound pretty warm to you, most individuals will find that they are perfectly comfortable in a room cooled to 78 degrees. If you have a programmable thermostat, be sure to set up heating and cooling programs so that you don’t waste energy when you’re away from home. Your AC unit is designed to turn on when it needs to produce cool air and to turn off once your space is pleasantly cooled. However, a unit that turns on and off very frequently is likely suffering from a maintenance problem or needs to be repaired. To troubleshoot the problem, turn power off to the AC unit at the breaker. Carefully inspect your unit to see if dirt has built up around coils or unit components. Clean off dirt and clean or replace the unit’s air filter. Turn the unit’s power back on and see if cleaning solved the problem. 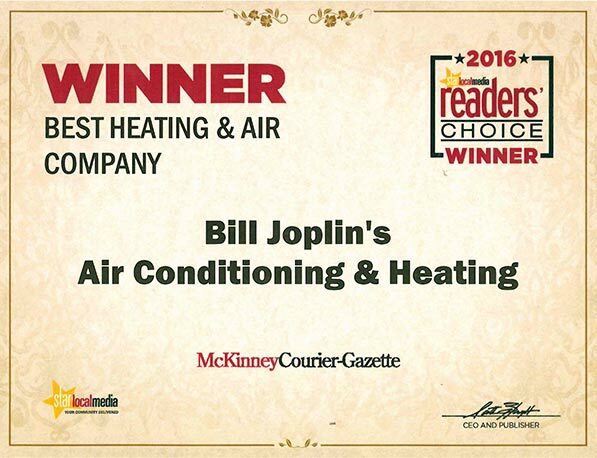 If the unit still cycles on and off continuously, you should call an HVAC repair professional to look for a mechanical problem. How can I Stop My Air Conditioner from Leaking Water? All air conditioning units create condensation that turns into water. This condensation forms on coils inside the unit and runs out as small streams of water. Because of this leakage, most air conditioners are situated on a pad that is sloped away from the home. If your unit is leaking into your home or water is pooling around the unit, make sure that it is tilted. Your unit may also have a water-catching pan that needs to be emptied. Check your owner’s manual or consult an HVAC contractor. Why Has My Air Conditioner Frozen Up? If your air conditioner freezes up, you won’t be able to use it until all the ice has melted. To expedite this process, gently wash ice away from coils and unit components. After you’ve removed most of the ice, you can turn the unit on to a low, fan-only program. Allow all of the ice to melt and drain away from the unit before turning it back on again. If you use a heat pump, you can run a low heating program to help melt the ice. If your air conditioner freezes up again shortly after you’ve completed these tasks, call an HVAC repair professional. Your freeze up may be caused by low refrigerant levels. Remember that you should never attempt to handle refrigerants on your own. Can You Take Care of Refrigerant Replacement? Yes, we provide refrigerant replacement for HVAC units made before 2010. Units made after 2010 must use refrigerants other than refrigerant. If you have an older HVAC unit that requires refrigerant, consider replacing it in the next several years. As refrigerant is phased out of manufacturing, it may become more expensive to refill your unit. Remember that the new, replacement refrigerants are just as effective as refrigerant but cause less environmental damage. Why Should I Have An Air Conditioning Tune-up Completed? Most home and business owners know that completing regular maintenance tasks is essential to keeping your HVAC unit running. Completing tune-up tasks that go above and beyond regular maintenance will not only help to keep your AC unit running but can also help boost efficiency. During an air conditioning tune-up, your HVAC technician will thoroughly inspect your unit. The technician will clean and lubricate moving parts. Your unit will then be calibrated to ensure for the highest level of efficiency possible. We recommend that you have an air conditioning tune-up completed at least once a year before the cooling season. How Do I Choose Filters for My HVAC System? Choosing the right filter for your air conditioner, heat pump, heater, ventilation system or air purifier is essential to ensuring the proper operation of your unit. The first place you should look for filter information is in your owner’s handbook or any paperwork given to you when you purchased the unit. The handbook will list the type and size of filter needed. In some cases, the handbook may specify that you should buy a certain brand of filter. If you don’t have your unit’s original paperwork, you can either go online and search for information about the filter or bring the old filter to your local HVAC contractor. An air conditioning professional will be able to identify the type of filter that you need by looking at your old filter and asking a few basic questions about your HVAC system. If you are picking a new filter for your air purifier or ventilation system, remember to pay close attention to the MERV (minimum efficiency reporting value) rating. This rating describes how well filters trap and eliminate pollutants from the air. If you’re shopping for a private residence, look for a filter with a rating between seven and 12. Filters for industrial spaces should have ratings of 15 and above.